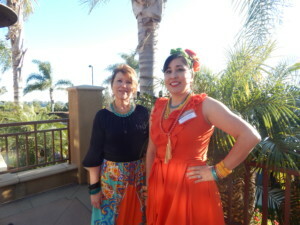 CARLSBAD — The Havana Nights Casino Party not only afforded guests a throwback to a 1950s night of fun, but it also brought everyone together to raise money for an important cause. 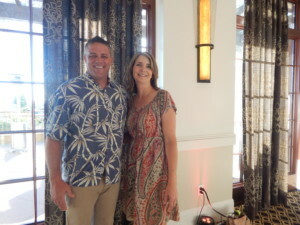 The May 20 event at the Sheraton Carlsbad Resort and Spa, attracted more than 200 hundred guests who supported the Tri-City Hospital Foundation in their efforts to raise monies to help benefit its women’s imaging center. According to the president of the Tri-City Hospital Foundation, Glen Newhart, the organization hosts several special events every year. The foundation chooses events that resonate with the community. 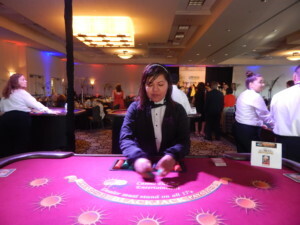 Casino night was such a success last year, the foundation decided to do it once again with a twist. The idea of old Havana emerged. 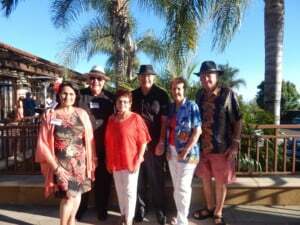 During the evening, guests stepped into the 1950s ambiance of a traditional Cuban casino, a Cuban food buffet, live music and dancing. Silent auction items were also available for bidding. Newhart also described the tropical evening as a casual one. The presenting sponsor for the evening was Tri-City Medical Center. 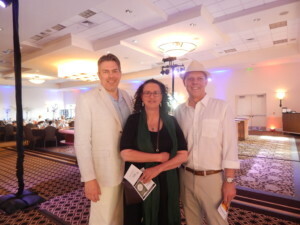 Event corporate partners were BB&T and San Diego Imaging. Newhart wants people to know that the Tri-City Hospital Foundation was established more than 50 years ago to support the work that the medical center performs in the community. 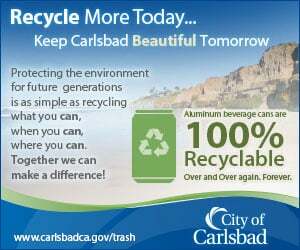 Fundraising initiatives go back to support programs and services. Recent improvements in the Women’s Imaging Center unveil a more spa-like atmosphere, Newhart said. “Our goal is to be the margin of excellence for the hospital,” he said.